Valentines Day for us doesn’t mean flowers or chocolates or gifts- it means we have an excuse to buy shrimp. Woo! I always feel like it’s better quality around the holidays. It’s so hard for us to buy shrimp out here since we are spoiled New Englanders; it’s just not as good as fresh off the Maine Coast shrimp. 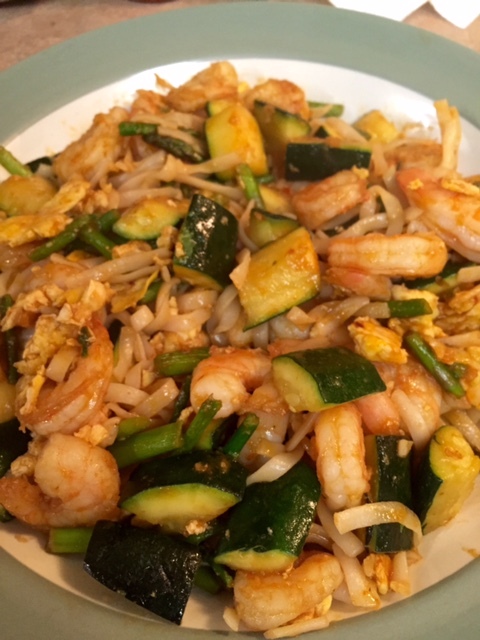 This Valentines Day, we found a Spicy Sriracha Shrimp and Zucchini Lo Mein Recipe (see full recipe here). A few years ago there was no way I would have been able to eat this, but lately I’ve been really into spicy foods because it helps me sloooow down and not eat so much. And it helps me get in my daily water intake!! Win all around! We did alter the recipe just a tiny tiny bit, and I thought I would give a shot at recipe writing. In a small bowl, combine ingredients to make spicy sauce: brown sugar, soy sauce,srircha, and sesame oil. In a wok or pan, heat up the butter and red pepper. Then add the eggs and scramble. When cooked thoroughly, remove and put on small plate. Heat up olive oil, and throw in asparagus and zucchini until cooked through. 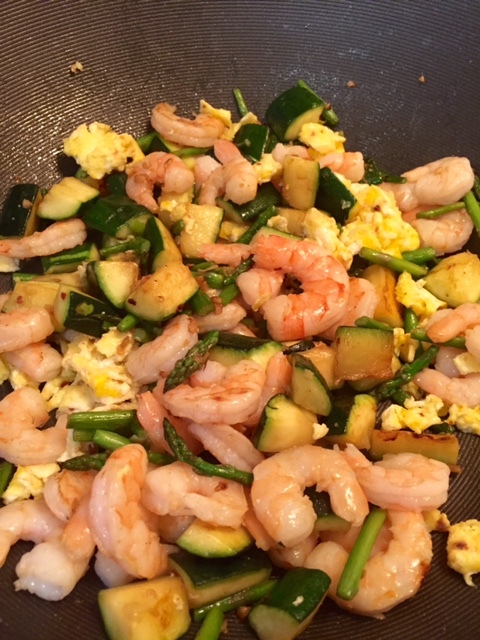 Then add in eggs, shrimp, sauce, and noodles. It was very good and very spicy! I drank about 3 glasses of water and probably only consumed (not even) a cup of food. 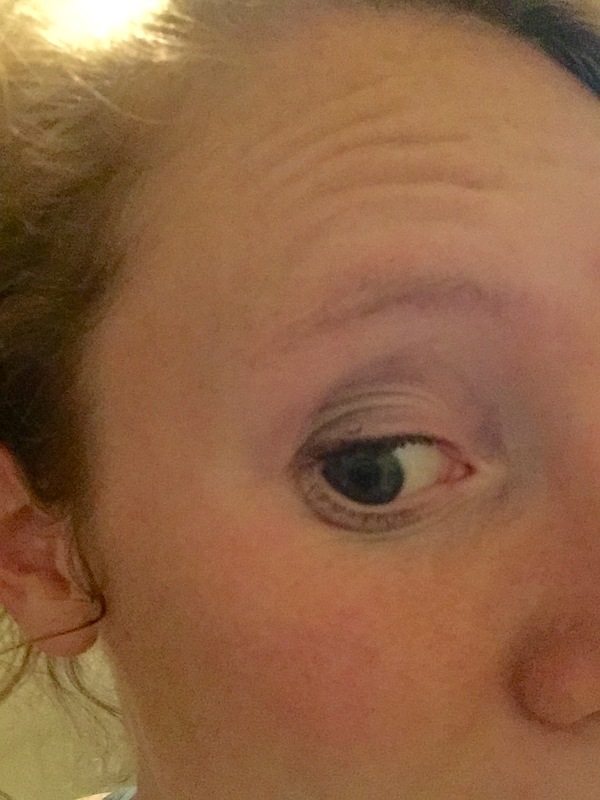 Also, whenever I eat spicy foods my eyelids sweat, which everyone thinks is weird. Does anyone else’s body react like that? I’m not lyin’! That’s my mascara melted off after dinner.